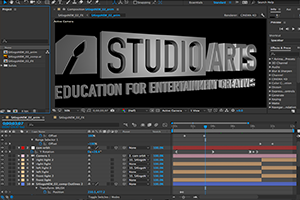 This is the first class in the After Effects instructional series that introduces the user to the motion graphics, compositing and visual effects feature sets of Adobe After Effects. Topics covered will include the AE interface, workflow and basic functioning of After Effects. Students will also learn how to include layers, keyframes, the timeline, importing and interpretation of footage, ease in and ease out and animation of footage through scale, rotation, transport and motion blur effects.